I made this coat last year, but it was my longest project to date so I figured it deserved a post on the blog. 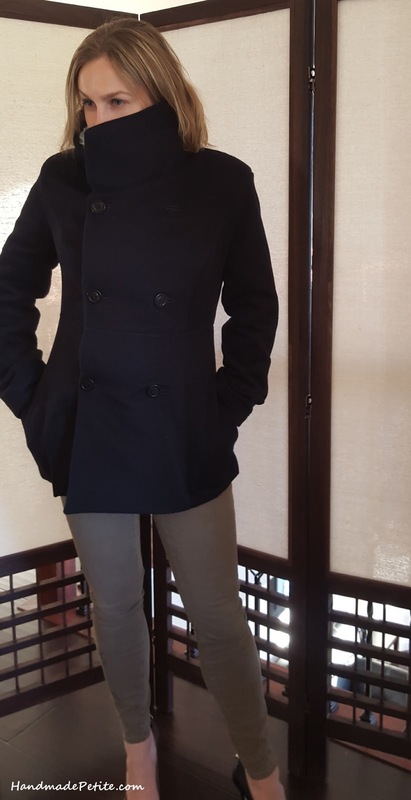 I was in a need of dressy winter coat. Something I could wear with a pair of heels to work, restaurant etc. I had a long, really warm coat from Chicago, but that was too heavy for mild Austin winters. After some unsuccessful searching, I decided to just make one. 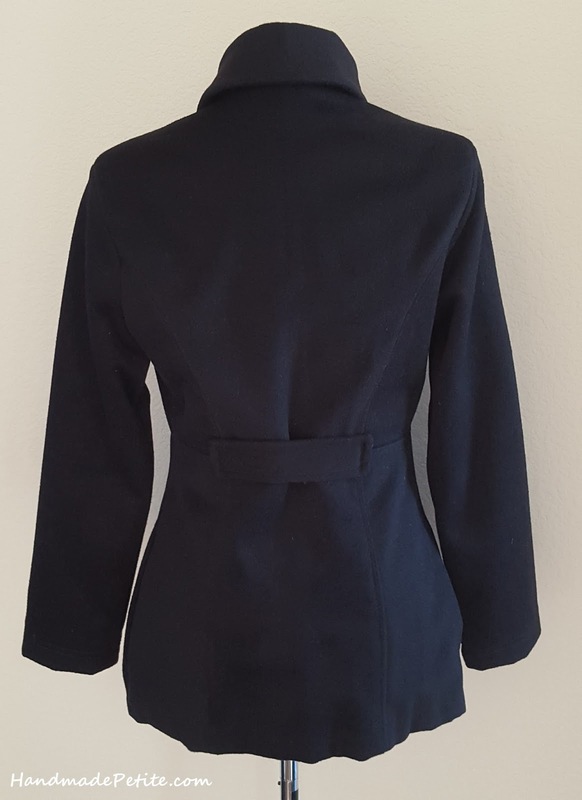 It was my first attempt at sewing outerwear, but I figured that if I was going to invest all this time into a coat it needs to be nice and I splurged on cashmere. Usually it would run about $90/yd, but I lucked out and found this nice quality, soft cashmere wool at Fabric Mart for half the price. I bought the recommended 2 yds for the pattern, but with careful cutting ended up fitting all the pieces under 1.5 yds. The body of the coat is underlined with wool flannel. It's thin, but still adds good amount of warmth. The lining was rayon/cotton blend twill satin - durable, but very slippery. The cashmere was sewing up nicely, but I had to serge the lining to keep it at bay. I used Butterick B5685 pattern. After making a quick muslin I realized that the original collar was simply overwhelming my small frame. Half the coat would be hidden by the collar. I didn't have an alternate pattern that would work so I free handed a few options and tried them on the muslin until I was happy enough with the fit. Otherwise I followed the pattern pretty closely. 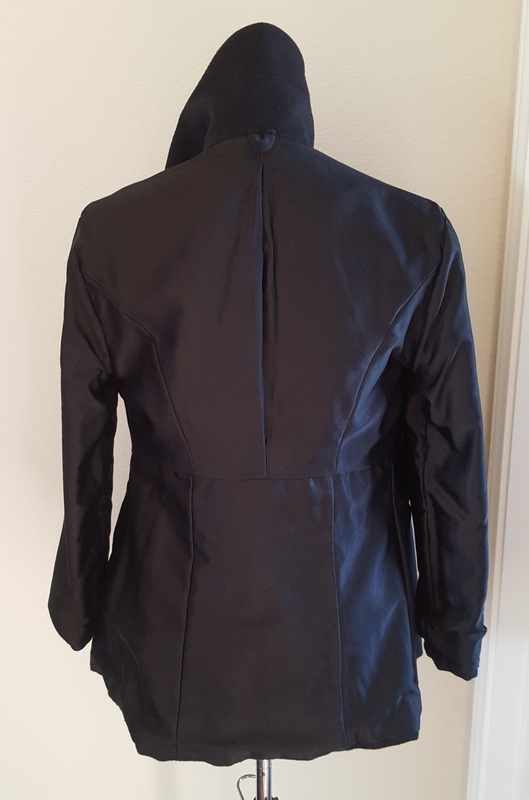 The only other small additions were adding a placket in the back for more shaping and adding a loop for hanging the coat. Every coat needs a loop. As far as the pattern, I thought it was pretty good and easy to follow. I had absolutely no experience with making coats or jackets at that point and was able to follow it easily. The only cons for me were the collar, which I changed, and pocket placement. 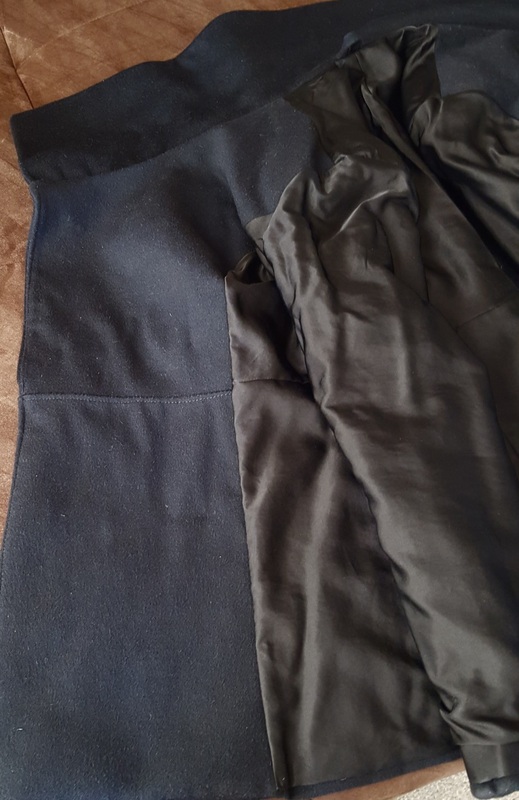 The side seam pockets are easier to sew, but a little awkward to use. I feel like I'm pulling the whole coat forward when I put my hands in the pockets. If I every make another coat from this pattern that may be something I'll try changing. I only had time to work on it here and there so from start to finish the whole project stretched over 2 months. 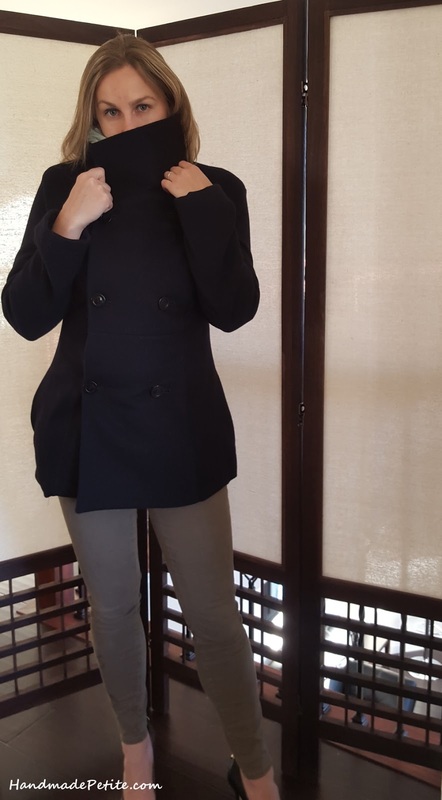 By the time I was done it was too warm outside to be able to wear it, but I'm still happy that I managed to make a wearable coat on the first try. Thanks for stopping by. I really appreciate your comments.